Blackjack is Torn's most popular casino game. 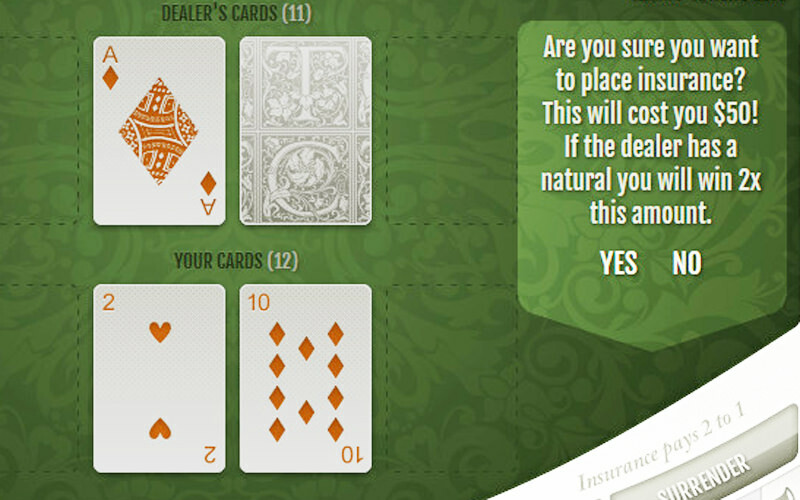 You must beat the dealer's hand while scoring 21 or under. 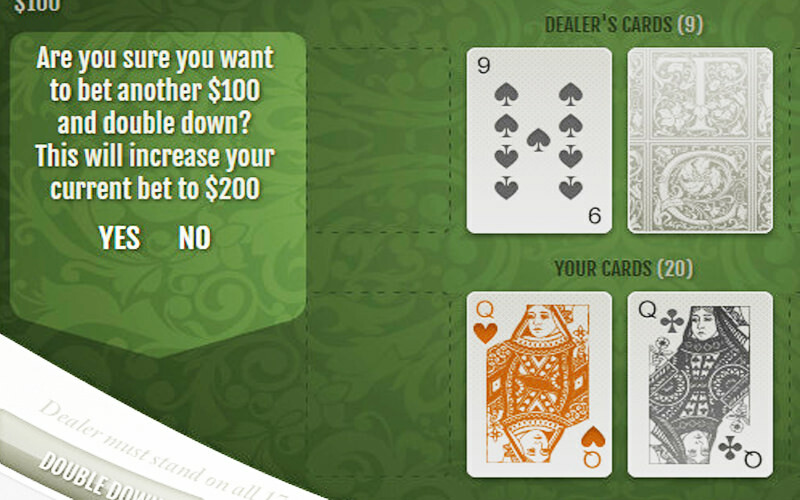 By beating the dealer in score, or achieving a Five Card Charlie without going over 21 (and if dealer don't have a Five Card Charlie with higher score), you'll win double your bet. 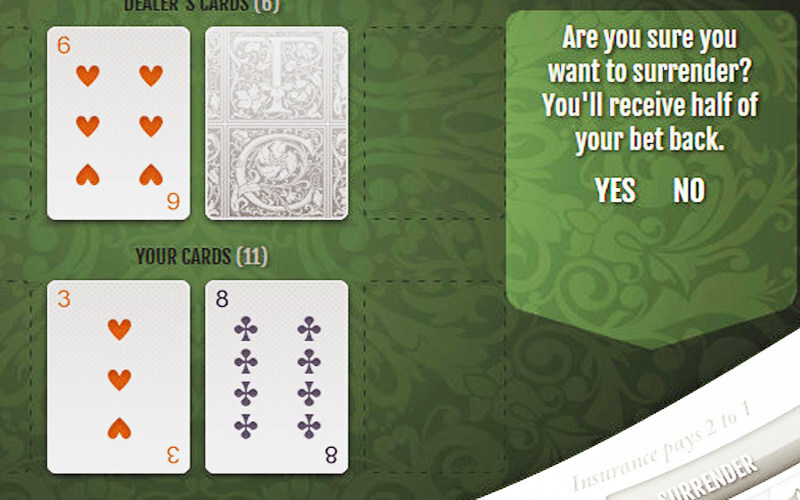 If you get a natural (21 on your first two cards) you'll win 2.5x your bet. Please gamble responsibly, and don't get caught counting cards! SURRENDER: ARE U SURE YOU WANT TO SURRENDER? YOU WILL RECEIVE HALF OF YOUR BET BACK. INSURANCE: ARE YOU SURE YOU WANT TO PLACE INSURANCE? THIS WILL COST YOU $50 IS THE DEALER HAS A NATURAL YOU WILL WIN 2X THIS AMOUNT. STAND : THIS MEAN STOP OR ENOUGH BY PLAYER. HIT ME : THIS MEAN NEED NEXT CARD. PLAYER NEED NEXT CARD. DOUBLE DOWN: ARE U WANT TO BET ANOTHER $XXXXX AND DOUBLE DOWN? THIS WILL INCREASE YOUR CURRENT BET TO 2X. DOUBLE BETTING STYLE: SOME PLAYERS PLAY DOUBLE BETTING STYLE .THAT IS EASY AND WE CAN WIN A LITTLE MILLIONS IN A DAY. IF YOU CAN CONTROL YOUR MIND YOU WILL BE WIN. BUT YOU MUST HAVE IN HAND $10 MILLIONS. SOMETIMES WIN OR LOSE IS DEPEND UPON THE RANDOM SERVERS. THAT CAN SEE BELOW OF ANY PAGE. I THINK WINNING % IS NOT THE SAME ACCORDING TO DIFFERENT SERVERS. This page has been viewed 1,732 times.